I Only Have ONE Computer for my Class! The other day, I listened to a parish DRE share her story of receiving several “good” used computers from parishioners who recently bought newer equipment. What does it mean to get a “good” computer. Simply – It works when it is turned on. Other models can be located by doing an Internet Search. Tip#2: Place the computer in an accessible and easily supervised place. Easy access to assist students is important as well as seeing what is being done on the computer is important. Tip #4: Check out the videos other catechists are using in their classrooms in the Digital Catechesis Video Library (A Free Registration). 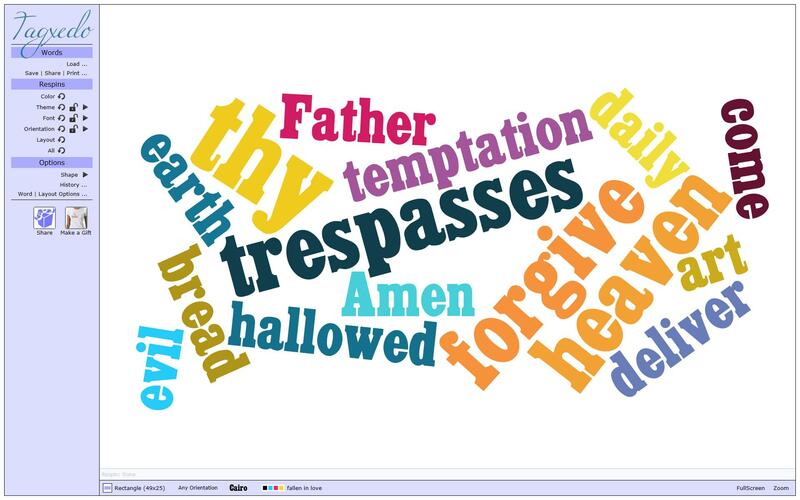 Project the computer screen so the entire class can see a video you may want to use for prayer at the beginning or end of class. Or you may simply want to engage your students with vivid images, sound, or music that has a wonderful message and fits into your lesson objectives through a short video. Tip #6: Give some thought and planning to what can we done with ONE computer in your classroom. Do a Google Search using “one computer classroom,” “one computer classroom ideas,” or “one computer classroom activities” will provide a wealth of resources to explore, like – One Computer Classroom. If you have found yourself saying, “We’ll never have a computer in the classroom – it’s just beyond our budget.” Now challenge yourself with, “If we had just ONE computer in our classroom, what could we possibly do to engage our students to learn more about their faith by using technology as a supportive part of our teaching? I would love to hear your stories of how you are engaging your students with just ONE computer in your classroom. You are invited to share your stories here! If you like this post, please remember to click the “Like” button! One of the best examples I’ve seen is Weather: Art and Poetry by students in Mrs. Mattson’s 3rd Grade class. Now imagine how you could use this tool for Advent Prayer. Explain the season of Advent to your students. Break the class into 4 groups. Group 1 students will work on prayers for the first week of Advent, Group 2 the second week in Advent, etc. Guide them in creating an Advent Prayer for their assigned week. Invite students to write and create their Advent prayer on an 8 1/2 x 11″ sheet of paper. Later, you can scan this image to use in the class Voice Thread. 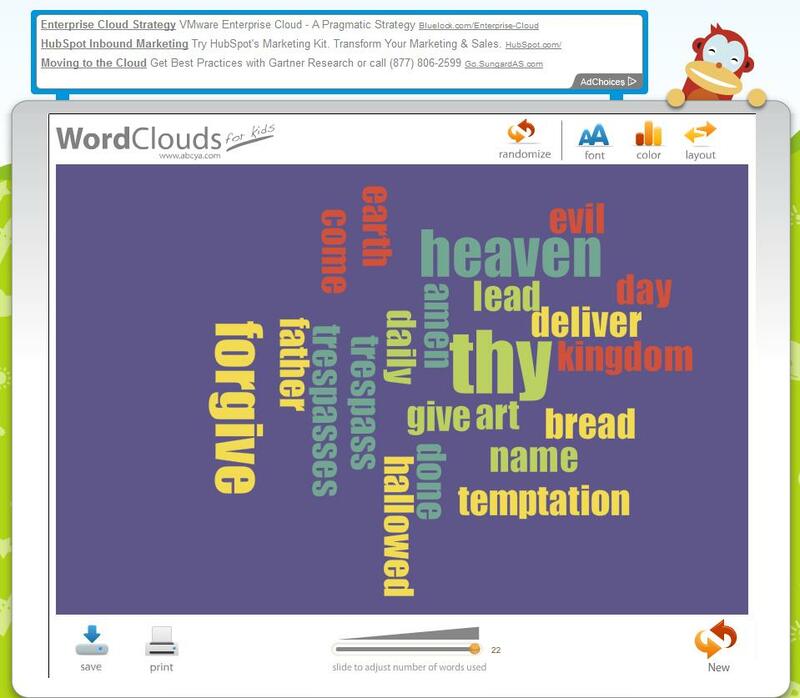 Or, assign the students to work on their prayer at home on their computers, tablets or any other digital tools that can be used to create a JPEG file. You could use a variety of tools: MS Paint, MS PowerPoint – saving in a JPEG format, or Google Docs – Presentations, or any other tool that allows the student to create a text and graphic file that can be easily saved in a JPEG format. If you have access to computers during your session, you can create the Advent Prayer during your class. Where students have an electronic file, guide them how you want to receive this file – via a thumb disk, email you, add to a Dropbox sharing file or any other way that you can easily receive the file from a student. Once you have the electronic files, you can add these images in the order of Week 1 through Week 4 on the VoiceThread tool. (Remember you will need to sign-up for an account). Here is also an opportunity to invite a high school student to work with you on the project. You can briefly introduce them to VoiceThread and this blog article to become acquainted with the project. Once you have the Advent VoiceThread set-up, you can add it to your website, class blog, write a short article for your parish bulletin and invite members of your parish and families of your students to come to the Advent VoiceThread to add their comments and/or Advent prayer. When you have your class Advent VoiceThread online, do come back here to share with us what your class did. We all would love to hear about this project with your students. Visit the VoiceThread website to learn more about this wonderful tool. If you like this post, take a moment to click on the LIKE button below.